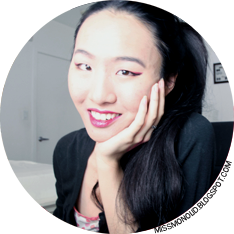 miss monolid: Stila Haul, With Swatches! Stila 10 pan. Click for larger image. Sorry for the hiatus! I picked up the Stila 10 Pan Eyeshadow Palette from Nordstrom Rack a while ago on sale, and it's absolutely beautiful. Stila 10 pan opened. Click for larger image. 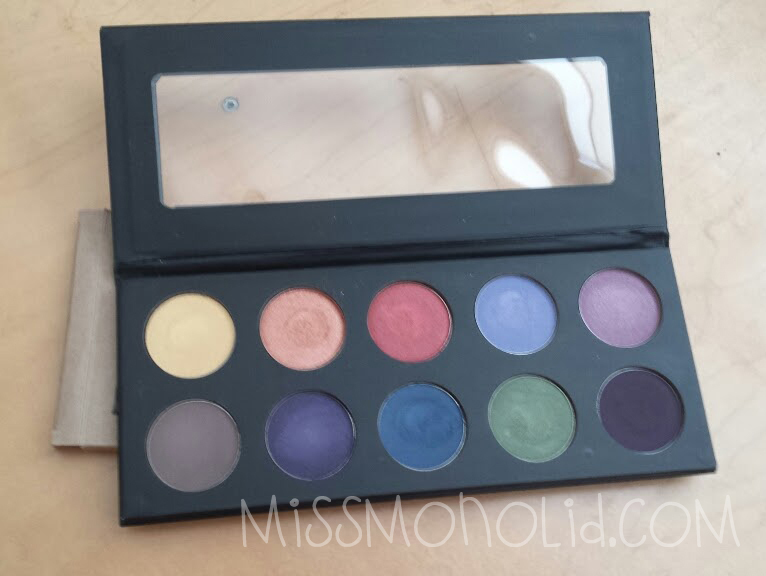 The shadows are a mix between shimmery and matte, and the quality of these shadows are amazing for the price! 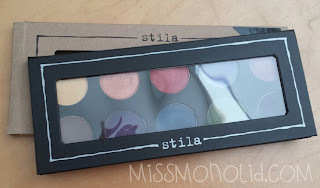 These shadows are my first official Stila eyeshadow purchase and I am very impressed. 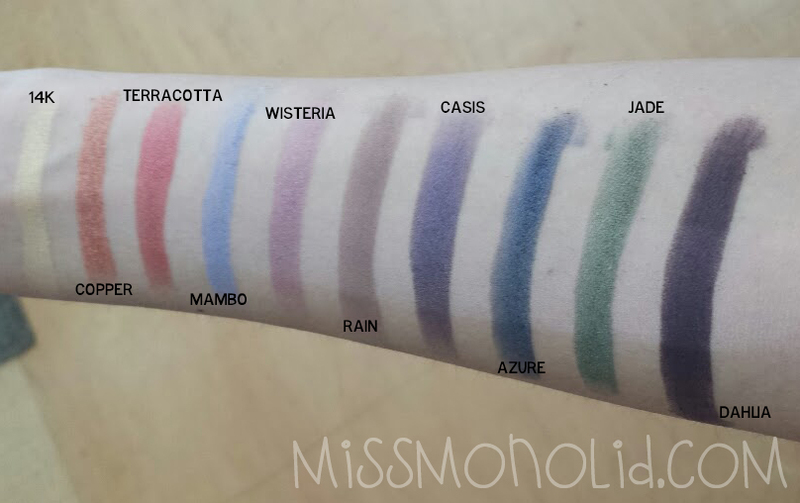 Some of these shadows feel as smooth and buttery as my Lorac eyeshadows, but some of the mattes feel slightly more chalky, but I feel that they are much better than, say, the quality of matte NYX eyeshadows. Stila 10 pan labeled. Click for larger image. I'm usually a neutrals kind of girl, so this is something that adds a LOT of color into my rotation, and I'll hopefully try to work one or two colors in my daily rotation. I included some swatches of the eyeshadows below, over elf primer. 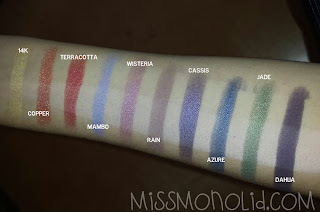 Swatches without flash, labeled. Click for larger image. Swatches with flash, labeled. Click for larger image. My favorite colors are Cassis and Copper, what are yours?